With just five days to go until the UK is due to leave the EU, Labour has said it expects to hold further talks with the government to find a Brexit deal.Theresa May has said only a cross-party pact will get the support of a majority of MPs, as the DUP and some Tories have rejected her deal with the EU.However, several Conservatives have strongly criticised the move.The PM is due at an emergency summit in Brussels on Wednesday, when EU leaders will expect to hear fresh plans.The UK is scheduled to leave the EU on Friday, 12 April, at 23:00 BST. However, on Monday, peers will continue considering a bill brought by senior Labour MP Yvette Cooper, which aims to force the PM to request a Brexit extension rather than leave the EU without a deal. On Sunday, Mrs May tweeted a video message, explaining her decision to negotiate with Labour. "We absolutely must leave the European Union... that means we need to get a deal over the line and that's why we've been looking for new ways - a new approach - to find an agreement in Parliament," she said. "People didn't vote on party lines when it came to the Brexit referendum. And I think members of the public want to see their politicians working together more often. "While communication between the two sides is continuing, little detail has emerged from the talks. 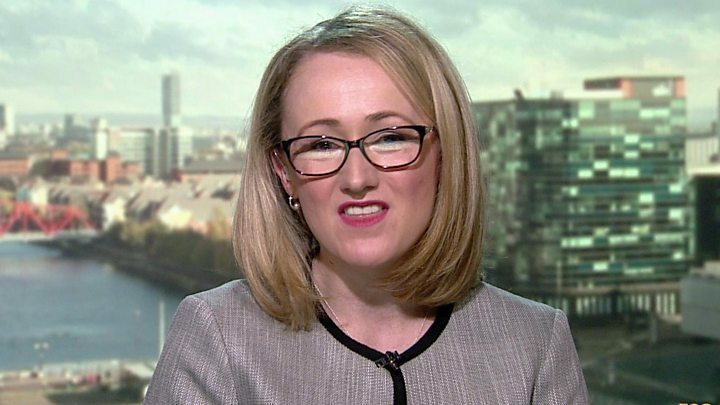 On Sunday Rebecca Long-Bailey, a member of Labour's negotiating team, described the mood as "positive and hopeful", and indicated more talks were likely to take place early this week.This was despite the fact government proposals "have not been compliant with the definition of a customs union", her party's key demand, she told the BBC's Andrew Marr show.That would allow tariff-free trade in goods with the EU but limit the UK from striking its own deals. Leaving the arrangement was a Conservative manifesto commitment.However, Solicitor General Robert Buckland told BBC Radio 4's Westminster Hour that "something approximating a customs arrangement or customs union" was the most likely outcome of the talks.It would mean "an end to freedom of movement and... that we deliver the vast majority of the aims of Brexit, which was to leave the institutions of the European Union", he said. "In this particular hung Parliament none of us can get perfection, we need to compromise." require(['https://news.files.bbci.co.uk/include/newsspec/19077-brexit-glossary/assets/embed/js/embed-init.js[/IMG]"If the UK were to commit to remaining in the customs union, it would make a total and utter nonsense of the referendum result," he said.Although 12 April remains, in law, the date the UK will leave the EU, Mrs May has already requested that be rescheduled until the end of June.BBC political correspondent Vicky Young said if EU leaders did not think she has a credible plan to get Parliament behind a deal, they might refuse or insist on a much lengthier extension to the Brexit process.This outcome is opposed by some Tory Brexiteers as it would mean the UK having to take part in European Parliamentary elections. "With just five days to go before the UK is due to leave the EU, there's great uncertainty and Mrs May's options appear very limited," our correspondent added. Meanwhile, Ms Long-Bailey suggested Labour could be prepared to cancel Brexit by revoking Article 50 - the legal mechanism through which Brexit is taking place - if the UK was heading towards a no-deal scenario on Friday. 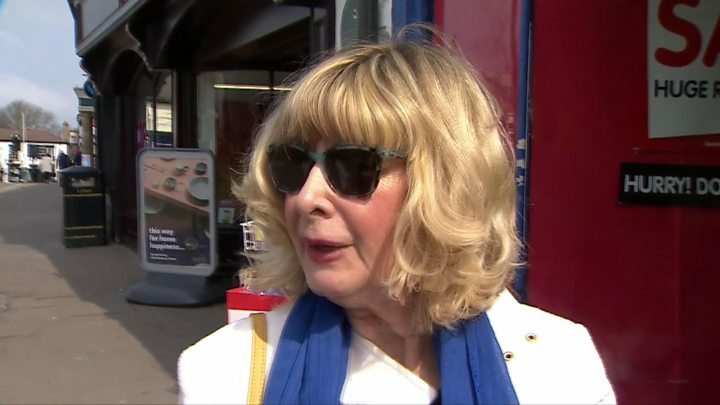 "We have promised our party members and our constituents that we will do all we can to avoid a no-deal situation," she said.Many MPs fear leaving the EU without a formal deal will create problems for UK businesses and cause severe congestion at ports, potentially leading to delays getting food and supplies into the country.If no compromise can be reached with Labour, Mrs May has committed to putting a series of Brexit options to the Commons and being bound by the result.